Sportsmanship – an aspiration or ethos that a sport or activity will be enjoyed for its own sake, with proper consideration for fairness, ethics, respect, and a sense of fellowship with one’s competitors. Three days ago, I was lying on a half-deflated air mattress in my horse trailer at six in the morning, watching my breath steam up the cold air and scrolling through Facebook on my phone. My heart thumped heavily as I sought out the information I desperately needed…had the New Zealand All Blacks, our national rugby team, beaten the South African Springboks in the Rugby World Cup semi-final, which had finished just minutes earlier? A few agonising moments, and then a wave of relief. Yes. 20 points to 18, a win by the narrowest of margins, and by all accounts a heart-stopper of a game. But we had won, we had done it and we were on our way to the final. Satisfied and feeling well pleased, I extracted myself from my sleeping bag, changed out of my pyjamas, and went to fetch JJ from his yard so I could start plaiting his mane for the day ahead. 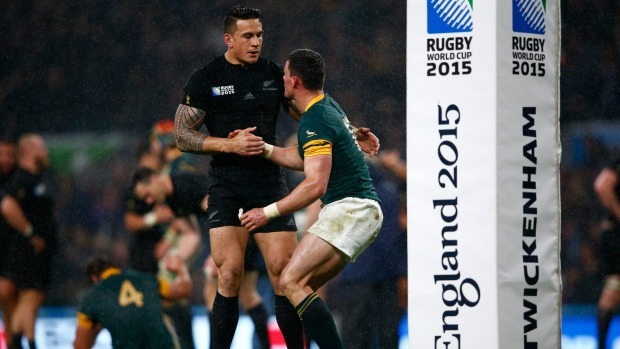 New Zealand is fanatical as a country about our ‘national sport’ – rugby union. It has long been a huge part of our culture, and the All Blacks are one of the most successful sporting teams of all time, with a historical 77% winning record; in fact, only five other teams have ever beaten the All Blacks. We eat, sleep and breathe Black, and when I watched the news report that evening, the entire first segment (8 minutes) was dedicated solely to recapping the semi-final match. To be an All Black is not just about sporting prowess. Talent will only get you so far, but hard work, perseverance and humility are an equal part of what makes the All Blacks such a mighty team. This ethos is literally in their handbook, which states that: Better people make better All Blacks. The All Blacks are role models, and they take that very, very seriously. 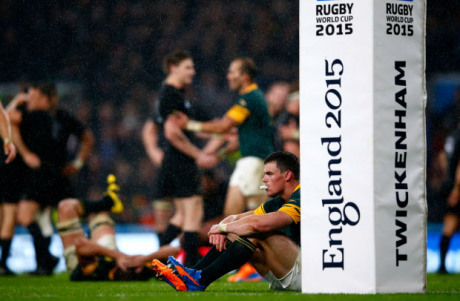 There was a great example of this ethos at the conclusion of the semi-final match, when South African centre Jesse Kriel sank to the ground next to the goal posts after the final whistle blew. 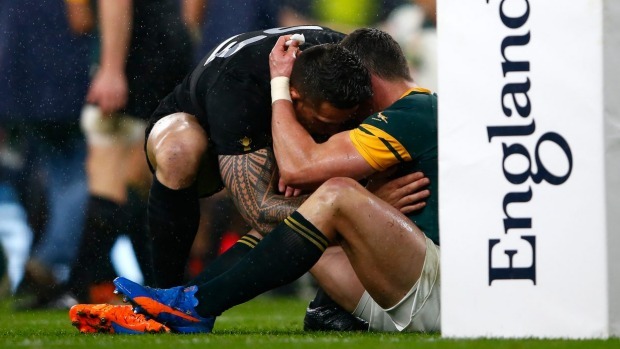 While the stadium erupted with jubilant fans, and many of the All Blacks players celebrated their victory, the dejected Springboks players were taking the loss hard. The Rugby World Cup only comes around every four years, and it has been 20 years since South Africa were able to lift the trophy. It was a tight game, both teams played well, but the All Blacks were the victors on the night. 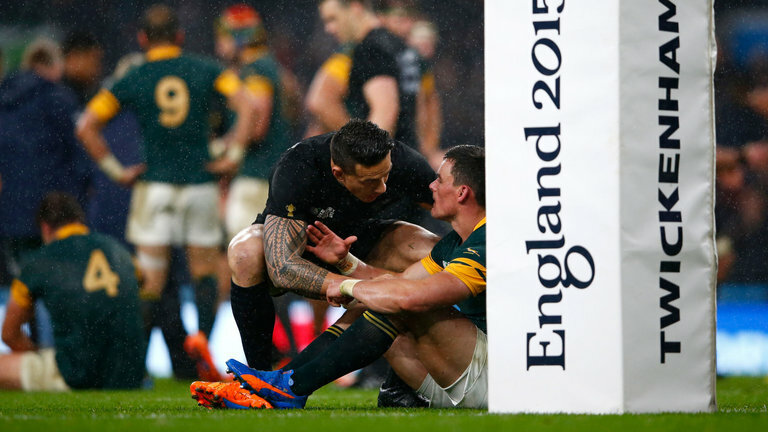 As Kriel sat there, his dreams of World Cup glory disappearing before his eyes, All Blacks centre Sonny Bill Williams approached him. They say that a picture speaks a thousand words, so I will let you see for yourself what happened next. That same day, only hours after the above had happened, I was sitting on a folding chair in the back of my horse trailer, looking out across the show grounds and watching riders warm up for the 1.30m class that was being held in the main ring at the time. One of the great things about equestrian sport is that men and women of all ages compete on equal footing. I was watching one of our most experienced Grand Prix competitors warm up his horse, a blingy chestnut, and at the same time was keeping an eye on one of our youngest Grand Prix riders, who is only fifteen and was riding a huge, powerful Warmblood mare. I soon realised that I wasn’t the only one with an eye on her, as when she had a couple of glitches at the warm-up fence, this experienced competitor took time out from his own warm-up to help her. He is not her trainer, but he saw that she needed help, and so he provided it. I could hear him calling out advice to her from my seat across the field, and watched as, under his guidance, she jumped the fence smoothly a couple of times, thanked him and headed out to compete. Later that afternoon, I rode in my Equitation class. I’m still new to the registered circuit, and don’t know many of the faces of regular competitors. I warmed up, went into the ring and jumped my round – and I did a pretty good job, with no major glitches. Feeling good, I walked JJ out of the ring on a long rein and met another rider coming in. She smiled at me and said “That was a really nice round!” I smiled back and thanked her, feeling even more pleased. It didn’t cost her anything to say that, and she could’ve ridden straight past me without a word, but she didn’t. She took the time to congratulate me, and I really appreciated it. Sportsmanship. Discover it, embrace it, embody it. Because at the end of the day, it’s what sport is all about. Next Post SIX TO RIDE – SNEAK PEEK!